Charles R. Nash (Ed.D.) has served as Vice Chancellor for Academic Affairs for The University of Alabama System since 1992. As a senior academic officer in the System, he is the chief liaison to academic, institutional research and planning officials at The University of Alabama, The University of Alabama at Birmingham, and The University of Alabama in Huntsville. He advises the Chancellor on all academic policy matters and provides primary leadership in program planning, development, and review. He is the liaison officer for the UA System to the Alabama Department of Education, the Alabama Department of Post Secondary Education, and the Alabama Commission on Higher Education. In 2009, his duties were expanded to include Student Affairs functions for The University of Alabama System. Prior to assuming his current position, Dr. Nash served as Associate Executive Director for the Commission on Colleges of the Southern Association of Colleges and Schools (SACS/COC). He has also held the position of Dean of the School of Education at Armstrong Atlantic State University (GA) and Director of Special Studies and Assistant Vice Chancellor for Academic Development for the Board of Regents of the University System of Georgia. He completed a six-year term on the Executive Committee of the board of directors of the Council for Higher Education Accreditation (CHEA), a six year term on the Accreditation Committee of the American Bar Association (ABA), and serves on the Executive Committee of the National Alliance of State Science and Mathematics Coalitions (NASSMC). 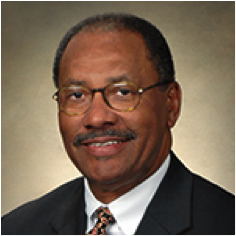 Charles serves on the Alabama Articulation and General Studies Committee (AGSC/STARS), the Access to Justice Commission of the Alabama Supreme Court, and on the Board of Directors of the A+ Education Partnership for Alabama.